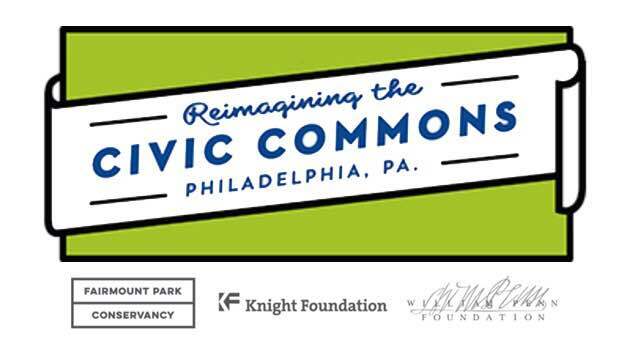 When Reimagining the Civic Commons launched in 2015, Kathryn Ott Lovell was the Executive Director of the Fairmount Park Conservancy. She had helped build the organization from a small team interested in promoting the city’s park system to a staff of 25 with an integral role in how the city manages public space. In January 2016 Mayor Jim Kenney appointed Ott Lovell to be the Commissioner of Philadelphia Parks & Recreation and now she approaches parks and civic assets from a different angle. We sat down to talk about the transition and how her experience with Civic Commons has informed her new role. To start off, how do you define a Civic Common? A Civic Common is a public space that provides an opportunity for citizens to come together and connect with one another and their community in a meaningful way. 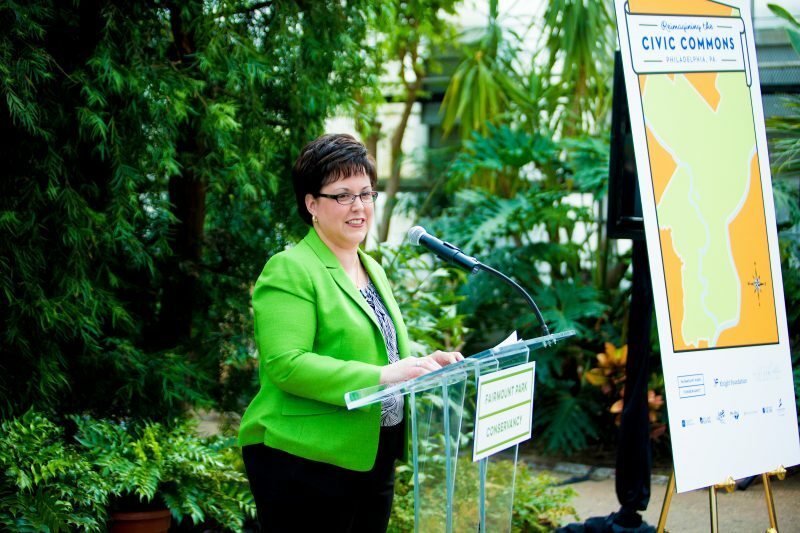 Before you became Commissioner of Philadelphia Parks & Recreation, you helped launch the Civic Commons initiative. What did you learn from that process? How have you brought that experience into your new job? It was a tremendous learning experience in a lot of ways. First and foremost, it helped elevate the Conservancy’s work on a national level and to validate our role in the local community as a thought leader. 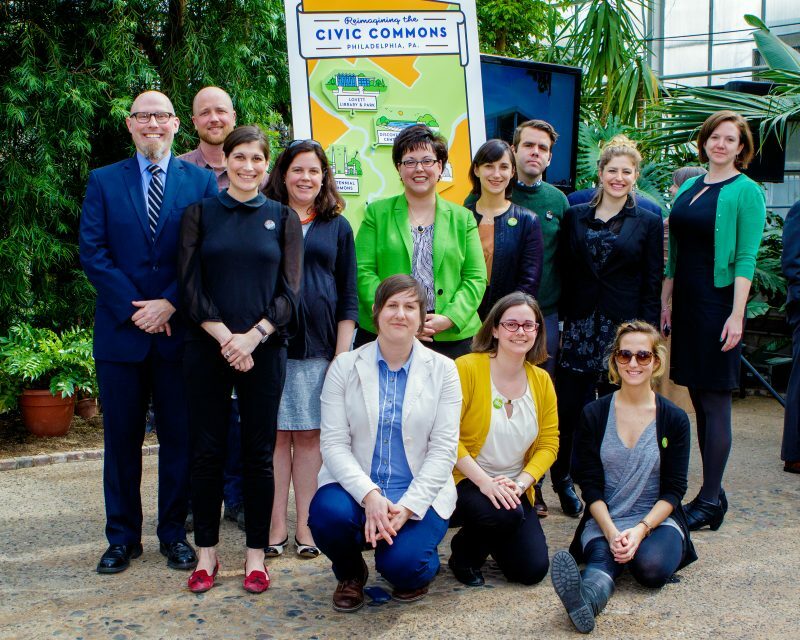 Once I was presented with the opportunity to join the Kenney administration, and learned about this idea of potentially funding civic infrastructure, it really began to feel like it was an opportunity to scale the whole Civic Commons initiative. The Rebuild initiative — a half-billion dollar investment in parks, recreation centers and libraries over the next six years — is really Civic Commons at large. It’s an opportunity to look at our existing civic spaces and to think about how they can be reimagined for the community. What specific lessons from Civic Commons have informed the ReBuild initiative? When you look at how recreation centers were built back in the day, they were really sort of one-dimensional. They had a very singular purpose, and that was to offer people in urban neighborhoods an opportunity to recreate, to play. So they were very pragmatic. But the whole purpose behind them could change to better serve neighborhoods. The whole idea behind the Civic Commons is figuring out how to make these projects important, meaningful assets for the community, as well connect those communities to a broader network. I think that’s a real model for the ReBuild initiative. One of the main goals of Reimagining the Civic Commons initiative is to get organizations involved with public and civic spaces to work together. How have you tried to collaborate with other city agencies and with the private sector? I can’t speak to other administrations, but this administration is 110 percent collaborative. I have worked with my counterparts at five or six different agencies, and it is such a wonderful feeling to have colleagues that you can just pick up the phone and say ‘how about we do this, or would you want to be a part of this or could you help?’ There are no egos in this administration, which I find really fascinating. It’s just people who really want to get the work done and support each other. I find that to be totally refreshing. What projects have you worked on since taking your position that required collaboration? When I first started, the Mayor proposed this idea for a soccer tournament that would engage the immigrant community where we would form soccer teams and have a huge championship at Citizens Bank Park. I mean, I haven’t played soccer since 1985. How are we going to do this? So we started planning it, doing what we do at Parks & Rec. We could definitely plan the games and the leagues and choose the sites. But then we called the Office of Immigrant Affairs and they handled the outreach. Then we decided to add an art component and we called the [Office of Arts, Culture and the Creative Economy]. You can really just pick up the phone for whatever you need. I think that’s very different from what I experienced in the non-profit sector. You went from the nonprofit sector to a leading role in city government. What was it like making that leap? It’s shocking in a lot of ways. Through my entire career I’ve worked closely with city government. I spent time with the Mural Arts Program, which is part city agency and part non-profit, and then the Conservancy, which is a nonprofit that works hand-in hand with city because it works on city property. I’m also someone who always had an interest and a real admiration and a passion for city government, and yet I was completely unprepared for what the real experience would be. It’s fascinating and rewarding in a lot of ways. But I’m challenged in different ways than I thought I would be. I inherited a department with 700 full-time and 3,000 part-time employees. I came from an organization [Fairmount Park Conservancy] that I built myself. We started with three people, and within four years we had 25 people, and I hired every single person. You can move people at will and make connections and partnerships. You don’t have that flexibility in city government. People have worked here forever. That’s very different than the non-profit world, which I think is a much more fluid industry. There’s a lot of movement in the non-profit industry. But in city government, most people in the Department have been there for decades. It’s just so common to go into a room with 20 employees that have been in their jobs for 20 years or more. The dedication is really amazing, but you can understand why it’s really hard to create a new culture in city government and break down policies and attitudes and to make change. There is probably a certain amount of skepticism about potential change. It’s a thriving department. It’s an incredibly hardworking department. That wasn’t a surprise to me, but it was still really inspiring to realize the dedication and the work ethic of the individuals who work here. Six years ago this department merged. We were two separate city departments — the Fairmount Park Commission, which was like 200 years old, and the Department of Recreation, which was about 15 years old. That merger was an extraordinary effort, and I don’t think we as a city acknowledge that enough. We were one of the last cities to merge our parks and recreation departments, and the merger is not done yet in so many ways. What did you know going into the position that you wanted to change either about the Department or about how the city handles public space? I want this to be a citizen-centric department. Our first concern needs to be the citizens of this city. We spend a lot of time in city government thinking about how we can make things, not easier, but less complicated for us. There’s a defensive mentality here around dealing with the public. It was always done with pure intent, in terms of making sure a city department can function and making sure that folks here aren’t at risk or exposed. But I think we can do a much better job at making sure what we do is meaningful for citizens. What does that approach look like on the ground? I can give you a really pragmatic example. 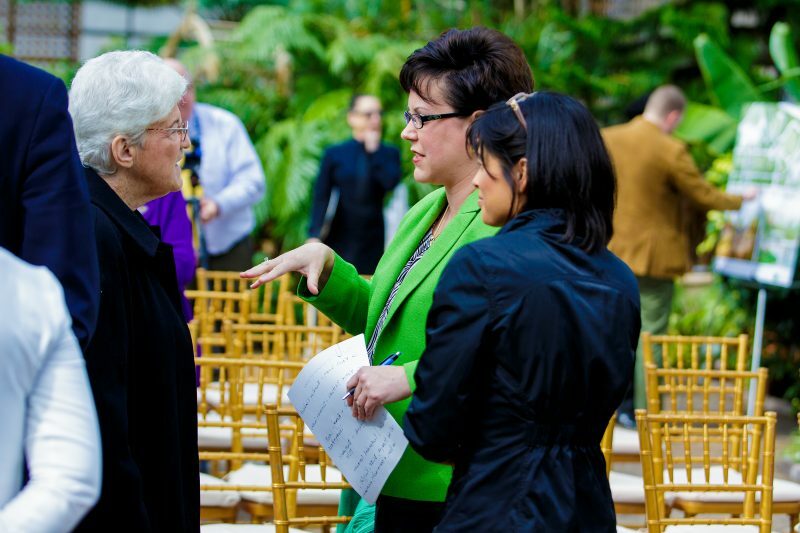 If you want to have an event in Fairmount Park, maybe you would go to our website. But once you go to that website, there’s completely outdated information, there’s no map of where you can have an event, but then there’s about 10 pages of policy and rules. We want to be a department that is incredibly welcoming. We want to streamline, innovate and modernize it, and make it user-focused and citizen-focused. Everything we do here has to be about the people and the users. It’s not about the department. That’s a mentality that certainly Mike DiBerardinis [former Philadelphia Parks & Recreation commissioner and now managing director in the Kenney administration] tried to shift. But it’s definitely a culture that I’m trying to continue here and take to the next level. What has been your biggest challenge as commissioner? Describe one personal challenge and one that came from the outside. I think it’s been wrapping my head around the vastness of this department. People think of Parks & Rec and they think oh you got to cut the grass and prune the trees. But it’s so complex. We run programs for hundreds of thousands of kids every year. We maintain hundreds of miles or trails and hundreds of neighborhood parks. We’re trying to increase the street tree canopy. We’re doing workforce development. We have a program for people coming out of incarceration. It’s complicated and incredibly, incredibly efficient. It’s mind-blowing the amount of work and the dedication of the people who make it happen.